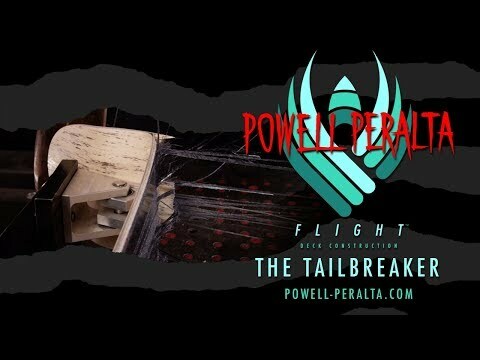 Longer lasting - The epoxy infused, fiber reinforced structure of the Flight deck is extremely resistant to breaking, and this structure gives them "everlasting pop" that doesn't fade as your deck slowly wears. 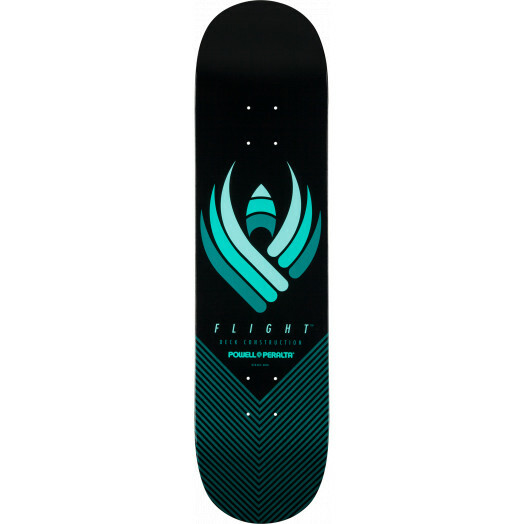 Team testing suggests that Flight decks will last several times longer than a 7-ply, making them a great value as well as a superior performing skateboard. *Remember, skateboards are meant to be ridden, not run over by a car or truck. 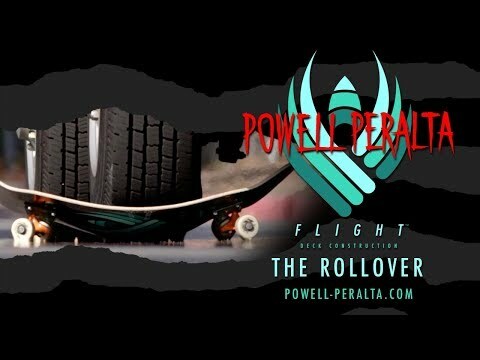 Powell Peralta® decks are made in the USA at our skateboard manufacturing facility in Santa Barbara, CA. Materials include U.S. hard rock maple, high strength fiberglass, AirLam fused with epoxy resin and are warranted against delamination for their useful life. Our graphics are created in-house using non-solvent based inks and paints to keep our atmosphere cleaner. Hands down the best board I have ever ridden. I am a bigger guy around (260lbs) used to skate a lot as a kid and all the tricks I do now on vert usually snap regular 7 plies. Haven't heard A noise I don't like outta this deck yet! 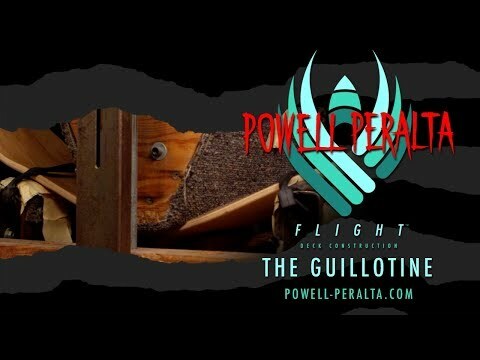 Keep it up, Powell Peralta!